ownCloud 7 has now been out for a few weeks and many of you have been using the new release. We would like to hear about your experiences with ownCloud 7 so we’re inviting you to take part in the review contest we are announcing today. 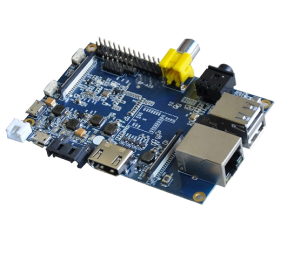 There are prizes: we will raffle off 3 Banana Pi devices among the submissions! A Banana Pi is pretty much like the well known Raspberry Pi board: a credit card-sized single-board computer. 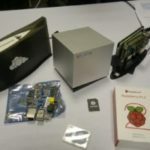 Thanks to the more powerful hardware (dualcore 1ghz, 1GB ram, 1Gbit network) and the extra features like the SATA connector, the Banana Pi offers a very nice ownCloud server experience. You can find tips and information on the device on the Banana Pi website and the site of LeMaker, the creators of the Banana Pi. Every review (video or text) that fits our requirements gets a chance to win one of the Banana Pi devices. You can share the review you made with us with the hashtag #owncloud7review to our ownClouders account on twitter, google+ or facebook or post a link here below. Make sure we can contact you! The winners as well as a selection of the other comprehensive reviews will be featured in a post on this blog. You have until the 29th of August to publish and share your review. Length: minimum of 500 words or 5 minute video showing ownCloud. Language should be English. 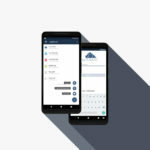 Suggestion: test some of the third-party ownCloud apps or talk about using ownCloud in a non-standard way like on a NAS, Raspberry/Banana Pi, in-car entertainment and so on! We will announce the winners on the ownCloud Contributor Conference on Saturday the 30th. The contest is open for all EU, US and Canada citizens. ownCloud Inc. employees and their immediate families are not eligible for participation. By entering this contest, you give ownCloud the rights to republish and/or link to your original content. Winners of one of the three Banana Pi boards will be picked at random from the list of blogs and posts which fulfill the requirements outlined in this blog post. 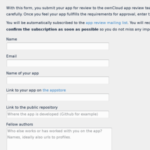 Reviews of ownCloud 7 already published before the date of this article can still participate. All posts must be public and submitted via social media or in the comments on this blog by the 29th of August 2014. ownCloud Inc. reserves the right to disqualify any entry for any reason, in its sole and absolute discretion. Winners will be notified by email and asked to provide a shipping address for the prizes. But once things calm down a bit after the conference, I hopefully get to this point on my todo list. There was a diaspora account already, but it was outdated for a long time, so we removed it from the website. Latin Americans, Asians, Africans can’t participate? 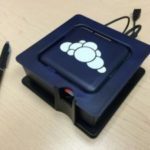 The devices are sponsored by ownCloud Inc. which has offices in Europe and the USA. We unfortunately can’t ship the boards to other continents, they often do not arrive, get damaged or result in large customs costs for the person we ship to. Sorry for that! Can ownCloud contributors participate :p? Yup, if you’re not an employee of Inc you can participate of course. I thought that the Banana Pi was a fake… just been doing some research since seeing this and it doesn’t seem conclusive if it’s actually a REAL device…. There are many Raspberry Pi like devices. 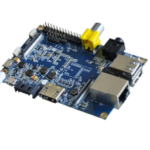 The Banana Pi is the closest to the original Pi while still giving a very much better experience, that is why we picked it. It doesn’t have the huge community but I think it has great potential.